The eClass Grader Report indicates that cells have been overridden by changing the background colour of the cell to orange. This is perfectly normal and occurs whenever users edit an activity module column or calculated column (such as a category or course total) directly in the grader report. 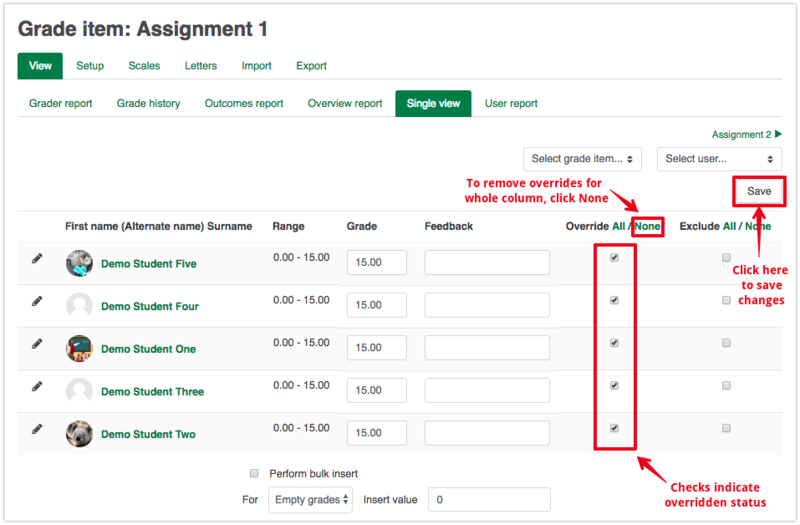 It is important to note that overriding a cell in a column will replace the calculated value or the grade given in the activity. There are times when columns or cells be become overridden inadvertently in some scenarios (eg. 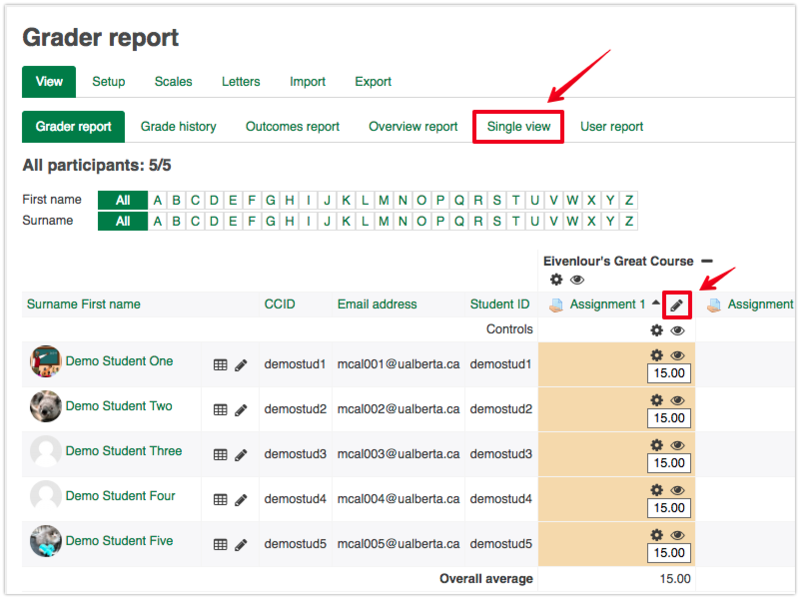 if multiple users are saving entries in the gradebook at exactly the same time, if a student submits a quiz attempt while you are working in the grader report, if your browser becomes focused on a total column cell when other changes are being saved, etc). 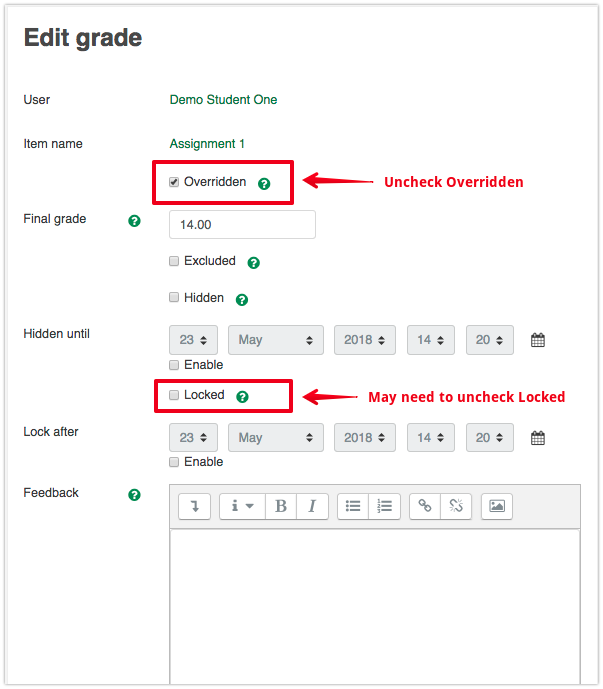 Moodle.org released a number of fixes to this problem along with their gradebook overhaul in summer 2015 so these cases should occur infrequently. However if an entire category total or your course total column has an orange background and it is not something you have specifically done, you should take note as this can prevent your totals from calculating correctly. Make sure you have clicked on Turn Editing On at the top-right corner of the page. If you use the tab, you must then choose the overridden column -- using the pencil icon bypasses this step. In the single item view for the column that is overriden, you will see checks in the overridden column. To remove these, click the None link in the column header and then click Save.